In response to Cee’s Black & White Photo Challenge : Open Topic. 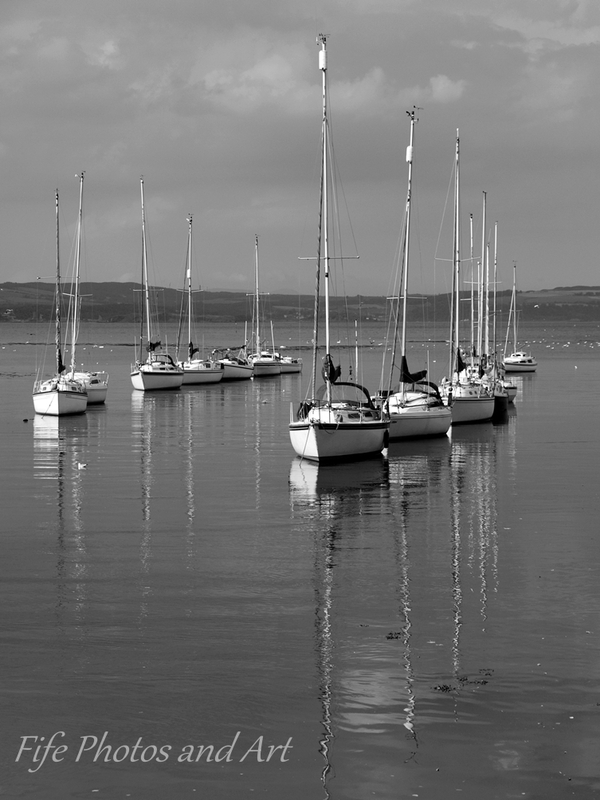 I’m posting three photographs of the yachts in the mouth of the River Almond, taken at Cramond Harbour, on the outskirts of Edinburgh. 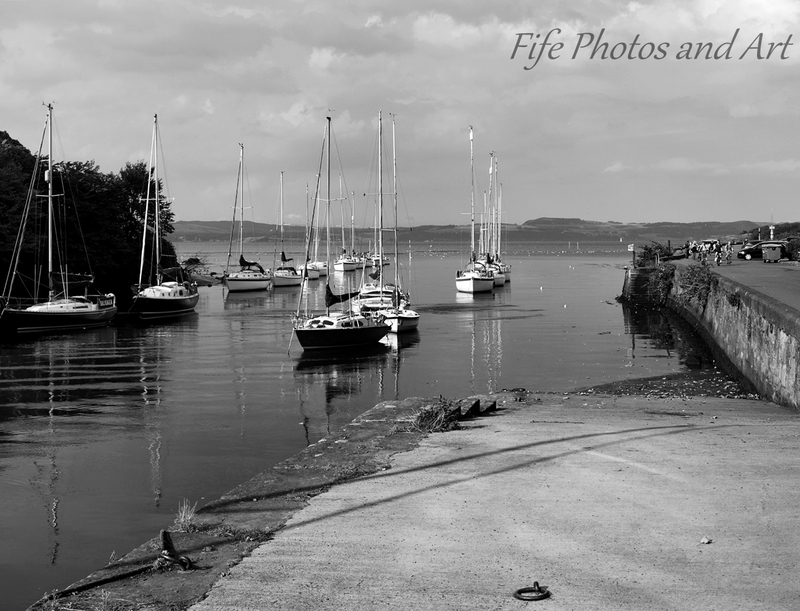 This entry was posted in Cee's Black and White Photo Challenge, Fine Art Photography and tagged black & white photography, Cramond, Edinburgh, Firth of Forth, harbours, landscape photography, Scotland. Bookmark the permalink. Very nice reflections! 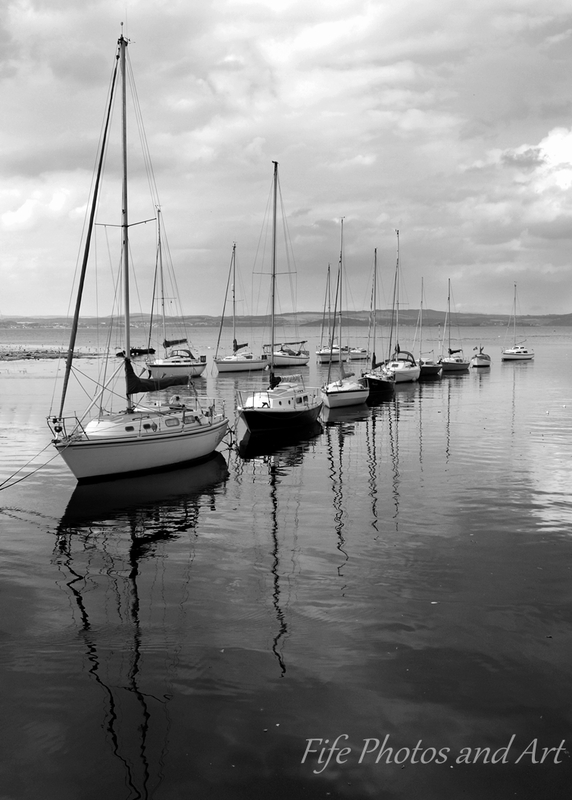 Cramond is a pretty little place. Thank you Jo 🙂 And yes, it is pretty, tucked away on the edge of Edinburgh. Thanks Millie 🙂 It’s very picturesque down at Cramond. Very peaceful, too – at least at this time of year. It’s probably reasonably quiet most of the year, it’s a wee bit tucked away 🙂 I hadn’t been there till I took the photos, and I know of a few local people who didn’t know about Cramond. I guess that most Edinburghers would know of it though. Yes… it seems like one of those quaint little places that keeps itself to itself.